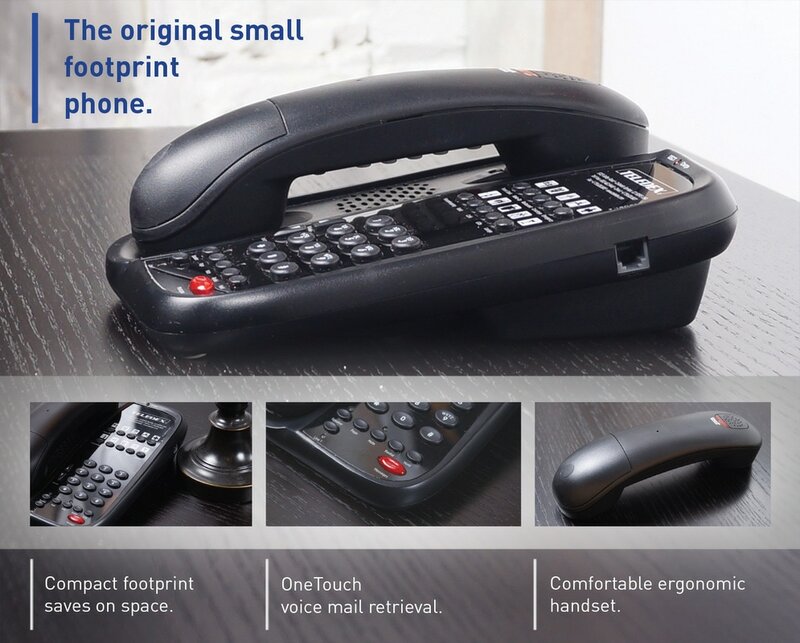 Teledex I Series (formerly Teledex iPhone®) is the original small footprint telephone built specifically for the hospitality guest room. Designed to embrace the sleek style of the modern hotel guest room, I Series hotel phones provides a familiar user interface for your guests in your choice of single and two-line, analog and VoIP, corded and cordless configurations. Choose 0, 3, 5, or 10 programmable guest service keys, an optional speakerphone, and our patented OneTouch voice mail retrieval technology. I Series cordless telephones reduce the need for multiple telephone jacks in the guestroom, supporting up to 3 additional AC-powered RediDock charging stations, and providing guests with a cordless home-like environment.